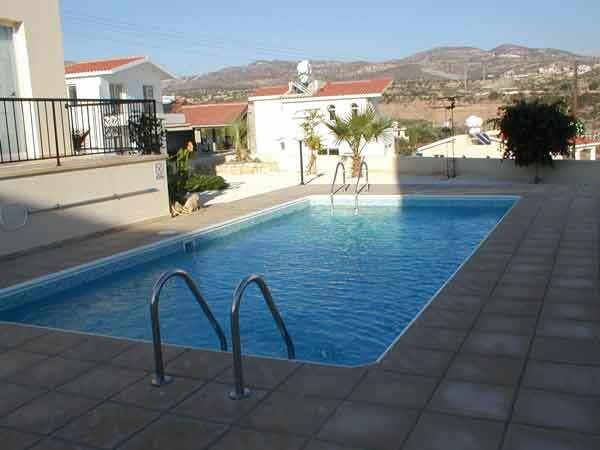 This luxury new two bed-roomed two-storey villa is in the famous Coral Bay area just outside Paphos and just 100 meters to the centre of the Coral Bay resort. 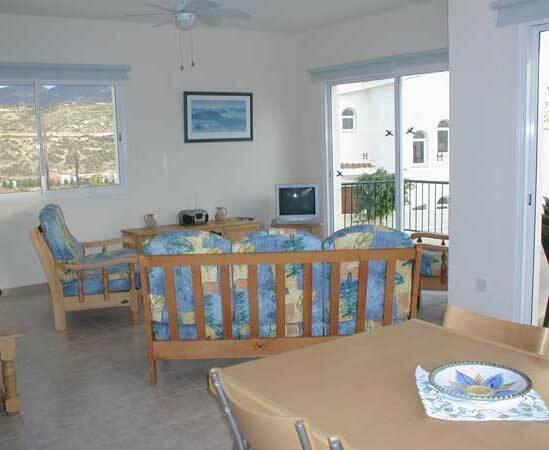 The fabulous Coral bay Beach is a short walk away . 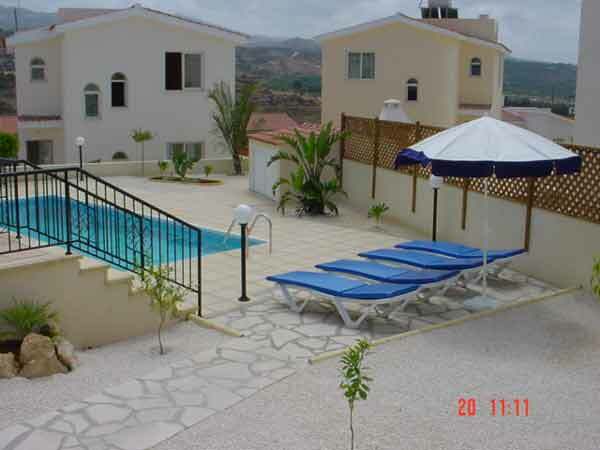 This luxury villa sleeps up to 4 people or 2 adults and 3 children, (cot and high chair available). It features two double bedrooms, both with patio doors opening on to a large adjoining balcony which is equipped with patio table and chairs. A master bathroom completes the first floor. The ground floor has an open plan lounge and dining area with fully fitted kitchen. A second washroom and toilet completes the layout. 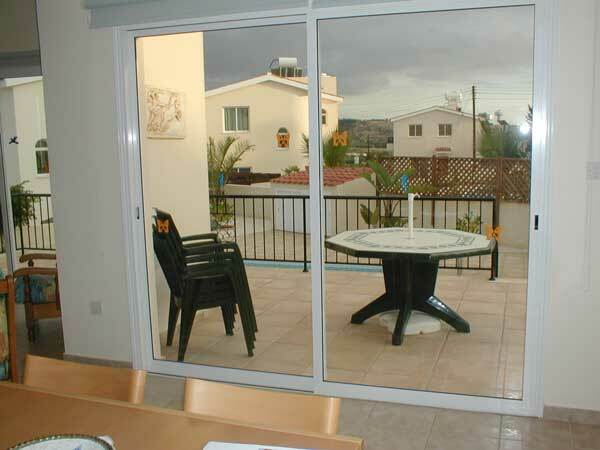 Two patio doors lead onto a sun terrace that overlooks its own private swimming pool. The sun terrace and pool are equipped with patio table and chairs, umbrellas and sun lounges. All in beautiful gardens. Satellite TV. DVD, CD & Cassette Player, Microwave, Iron, Ironing Board, Hair Dryer in both bedrooms, washing machine, ceiling fans in lounge dining area & bedrooms. 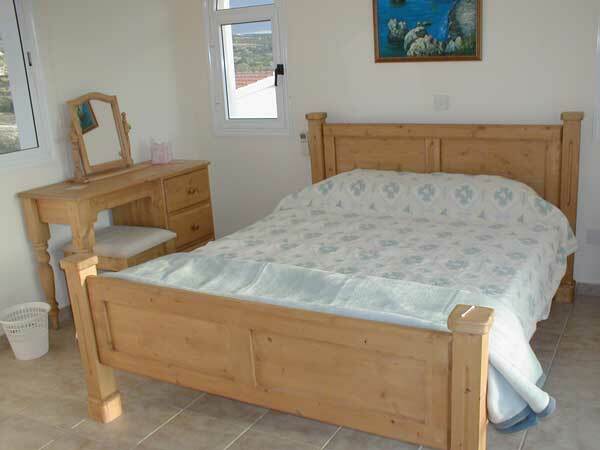 The villa is cleaned and linen and towels changed once per week. The owner is available to contact throughout your holiday and can also arrange golfing packages. Please note only Sunday flights can be used for this property from 2006.